Drunk driving carries serious penalties for adults, but if you are under 21 years old and arrested for DUI, the implications are even more severe. According to the National Highway Traffic Safety Administration, 20 percent of all underage drivers involved in fatal auto accidents tested positive for consumption of alcohol. In their attempts to curb this phenomenon, many states have even stiffer sanctions for younger drivers as compared to those of legal drinking age. Florida has enacted a version of these “Zero Tolerance” laws, which are aptly named: A person under 21 years old should not drink any alcohol at all, let alone get behind the wheel of a car after consuming it. If you or your child was charged with DUI as an underage driver, an experienced Florida DUI lawyer can tell you more about legal defense options. Florida’s Zero Tolerance law establishes a .02 percent blood alcohol content (BAC) level for drivers under age 21; for adults, the BAC legal limit is .08 percent. If you are stopped by police and blow .02, your driver’s license is automatically suspended for six months. Note that, for most individuals, a BAC of .02 percent is so low that consuming even a miniscule amount of alcohol will register in a breathalyzer test. If you refuse to take a chemical test, the implications are even more severe: You lose your license for one year for a first-time offense. Other penalties depending on your case. Since drunk driving is a crime, a conviction becomes part of your permanent criminal record. Florida is one of many states that does not allow records sealing or expungement for a DUI. However, there are special rules for juvenile offenders who are convicted of underage drunk driving. It may be possible to complete a diversion program and submit proper certification to officials; because it is not an official conviction, this approach leaves your criminal record clear. 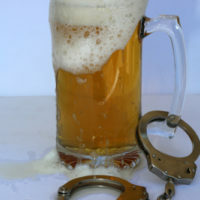 In some cases of underage DUI, the record of a juvenile is automatically destroyed at age 24-26 years. Florida takes underage drinking and driving seriously, with a Zero Tolerance law that makes it almost impossible to consume even small amounts of alcohol before getting behind the wheel. Considering the severe implications for your driver’s license and criminal record, it is important to retain an experienced lawyer to defend your interests. For more information on DUI as a person under age 21 years, please contact criminal defense attorney Kevin J. Kulik. We can answer your questions or schedule a confidential consultation at our Fort Lauderdale office.